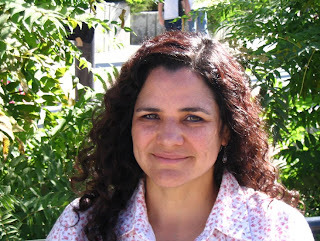 The Waterblogger: Dr Arlene Alvarado: Welcome Aboard! CFWEP is excited to announce the addition of our newest staff member, Dr. Arlene Alvarado, Program Specialist. Arlene comes to us from the Montana Tech Biology Department, where as an adjunct faculty member; she teaches Anatomy and Physiology, and has previously taught Zoology, Evolution and Introduction to Biology. Dr. Alvarado was also a lead member of the Hanta Virus Research team as an animal behavior expert within the Biology Department. Her expertise will allow her to help CFWEP with its database development and management, field research mentorship program and as a Science, Technology, Engineering and Mathematics (STEM) faculty liaison, with our program’s new elementary education Math and Science partnership project. The addition of our new superstar Program Specialist brings CFWEP full-time staff to five, with another full-time VISTA slated to join us in January. Come meet Arlene at our next fundraiser, Saturday, November 8th from 5:00 to 8:00 p.m. at the Quarry Brewery!